Hi Friends, This weeks classic Citadel miniatures are two 1204 Chaos Wizards (Chaos Sorcerers to some of you) from the Citadel Collectors Series and two of my favourite Chaos Familiars, I pulled these out of storage as I was getting bored and needed a change from painting Rogue Trader Adventurers and Chaos Beastmen, it was a nice change to use some colours I rarely use. 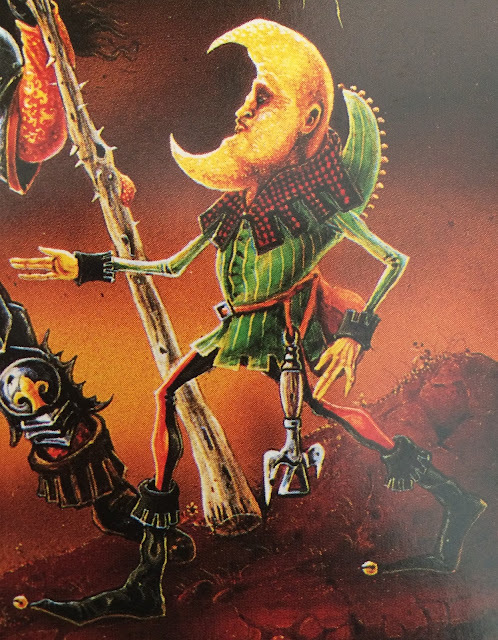 First we have 'Slargash the Defiler', I love his pose it screams "alas poor yorick" as he holds a demons skull definitely a demonologist me thinks. 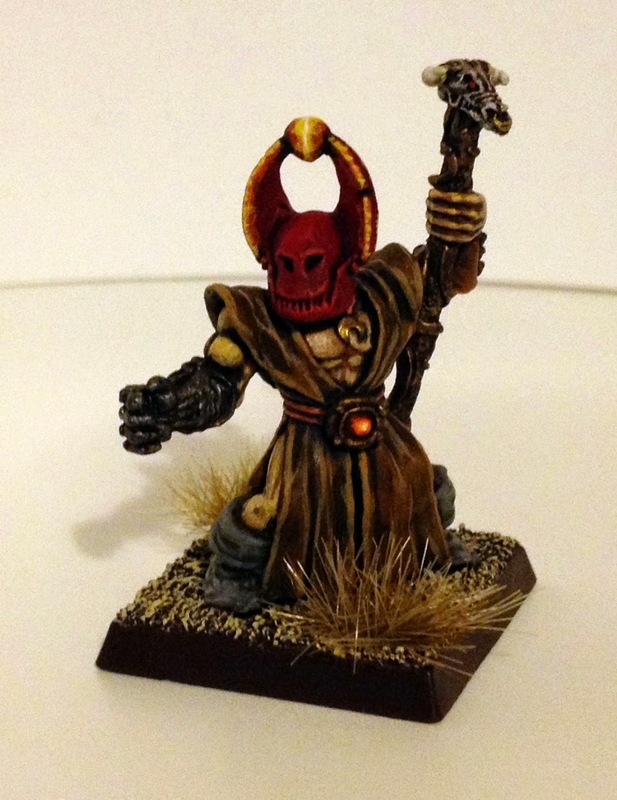 Next we have 'Ank'tokh Daemon Claw' who I am envisaging as a blood priest of Khorne, cult leader with gifts of technology, his mechanical arm and technological staff, Khorne dislikes magic and favours technology so it makes sense. 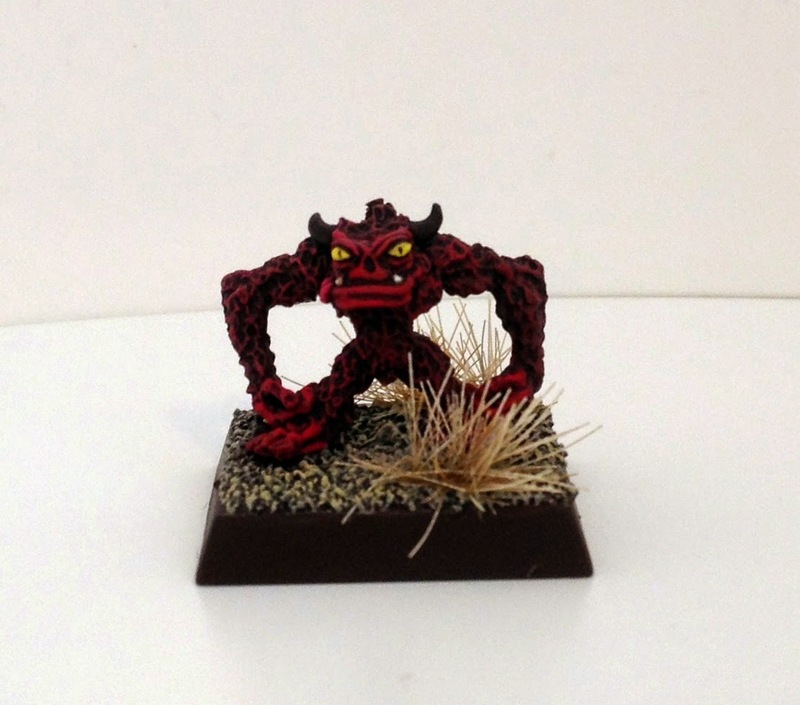 A suitable miniature for W40k and Dark Heresy too. Here we have 'Daemonet 1' cute little miniature, not particularly challenging but still fun all the same. 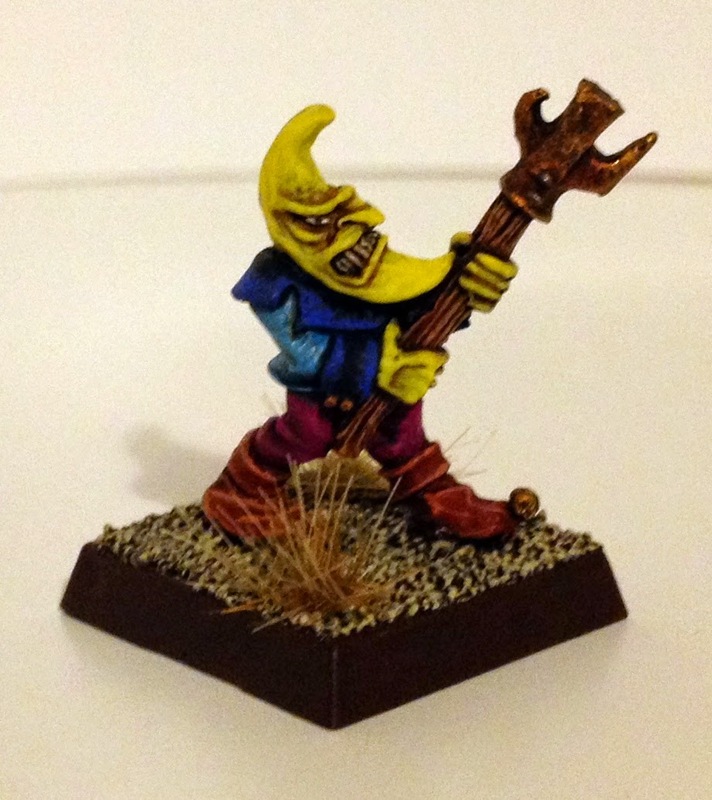 And lastly we have 'Lune' this miniature was a real joy to paint as it is so leftfield and unique based on the creature featured in the John Blanche painting 'mona and the Moonman', it looks like he is holding a giant can opener which he intends on using to strip knights of their armour although the can opner is a lot smaller in the painting (see below), probably the best Chaos Familiar of all. Jason, those are absolutely stunning ! The blood priest of Khorne is just too good. Absolutely perfect for what he's meant to be. Familiars are really good "breaks" when you want something quick and easy but rewarding at the same time. 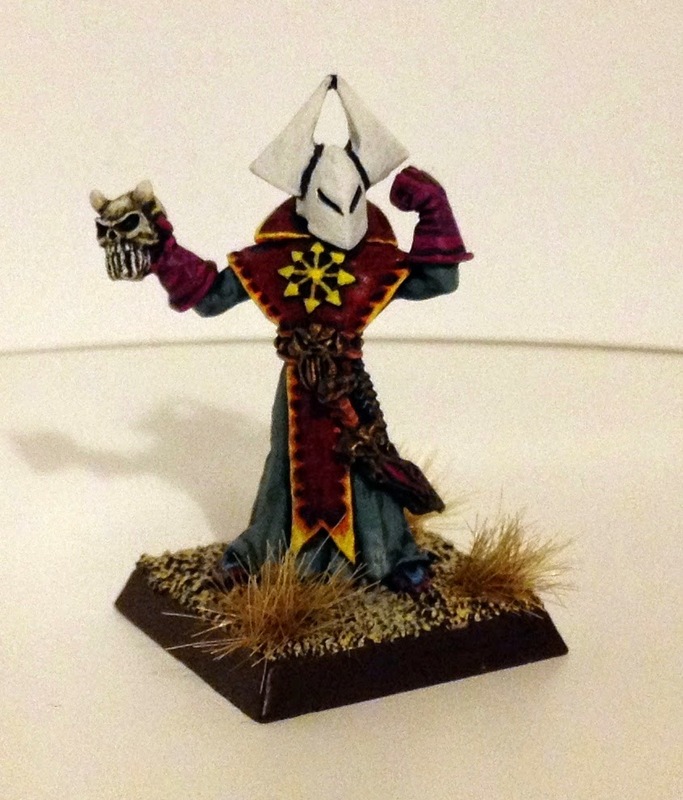 I often paint my chaos wizards and familiar for the same reason as yours. Thanks JB, Khorne wasn't getting overlooked, I have more familiars coming up next time I am bored, I have three more sorcerers to do going back to beastmen and RT adventurers for a bit. Nice work brother! I've got a few of those old sorcerers and familiars myself and they just ooze character. Great choice for a break from the norm!